If there ever was a town that could be described as a picture postcard, it may be Edwardsville, Illinois. As you come off I-255 North you’ll be led along New Poeg Road on your way to Main Street, where this All-American small town is home to one of the fastest growing craft breweries in the area. 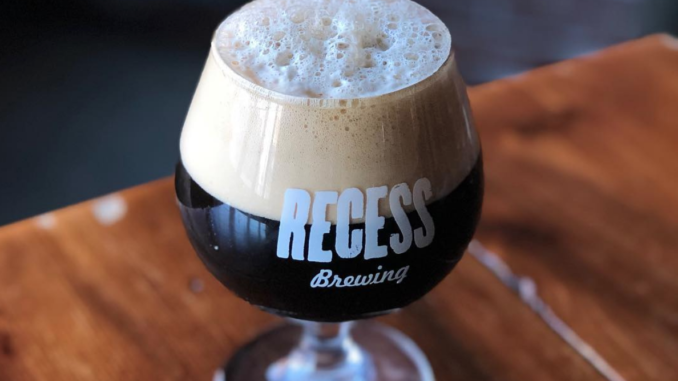 Recess Brewing is at 307 N. Main St. and is home to a 5-barrel brewhouse that has 3 fermentors and 6 serving tanks. With ten taps for their in-house beers, you’ll find year-round beers as well as seasonal and one-off brews. Today, and for as long as it will last, they are bringing back an old favorite, E’Ville Monster! First brewed in 2015, the Monster is a very smooth scotch ale that starts off with a chocolatey flavor and finishes with a little hop kick. The grain bill provides some residual sweetness and balances well with the high alcohol content (8.5% ABV) to provide a great finish. Owner and brewmaster Matt Flach was teaching high school science in Chicago when he discovered homebrewing. They were right and nearly a decade later in 2013, Flach had a chance to realize his dream in his hometown of Edwardsville, Illinois. He was able to purchase their current building and got to work, opening his brewery and taproom in November of 2014. The taproom is open to everyone and can hold up to 100 beer lovers. 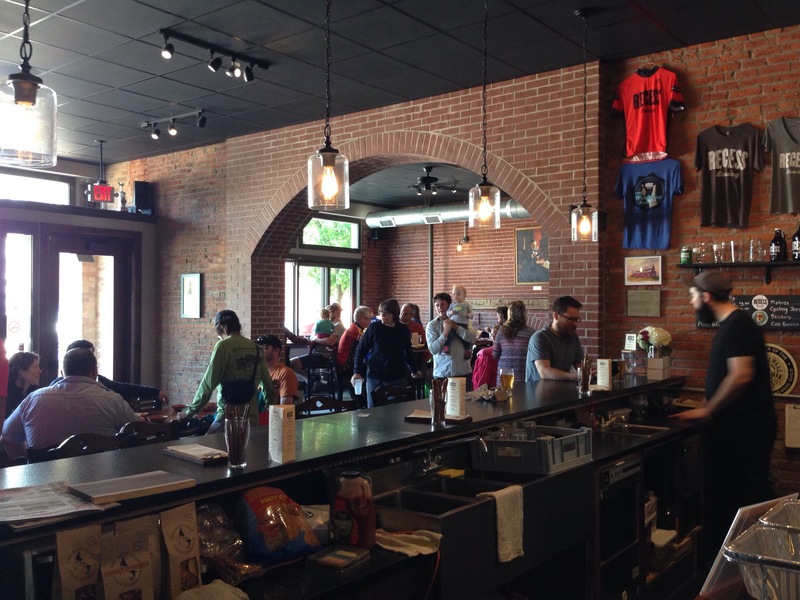 This is the one and only place to fill up your growler or enjoy a pint of Recess beer. Flach has more of a vision than just creating great beer, he wants to make it as available as possible to a many as possible. To do so he’s created the Community Supported Brewery Program. “At Recess, we really want to establish the Community Supported Brewery program,” said Flach. “The idea comes from community supported agriculture, where you sign up to get a weekly or monthly box of fresh-from-the-farm produce. Instead of produce, we’ll be filling your CSB growler with a fresh brew once or twice a month depending on your membership level. For the details and benefits, head over to the CSB page.